← Nebati’s Cubs Get Foxed! 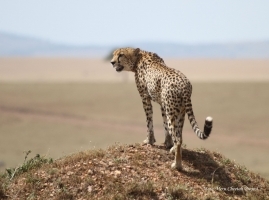 Adult solitary male can successfully hold a territory, but has to give a way to a male coalition. 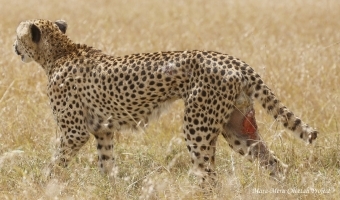 After Martin had lost his brother in October, 2015, he settled at the Hammerkop. For three years he demonstrates great survival skills. 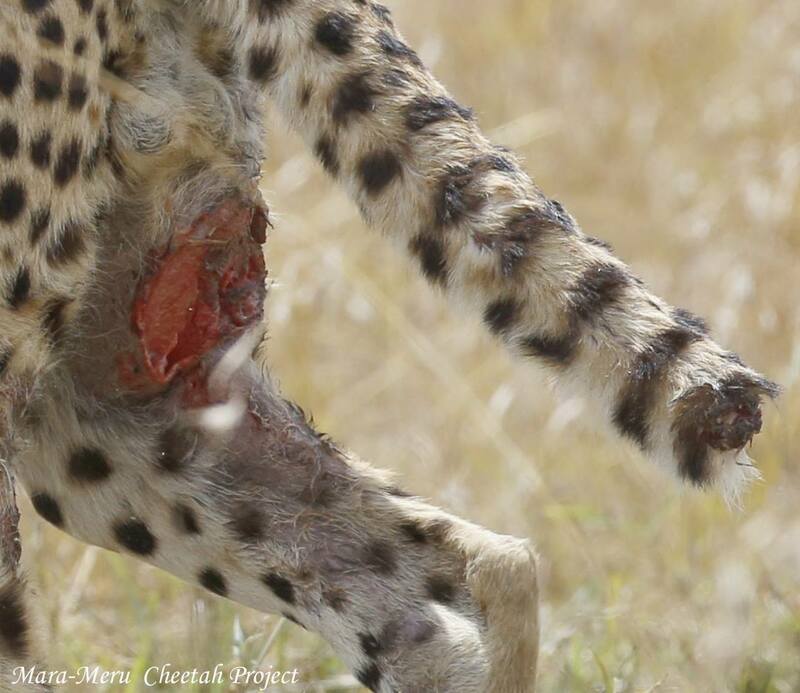 When 10 months ago the Fast 5 cheetah coalition came to Martin’s area, he moved to the Mara North Conservancy. Two weeks ago, he came back to Hammerkop, and soon, got into a trouble. It is hard to say who had attacked him, but we found him with numerous injuries all over the body and a head, with missing third part of a tail and skinned inner part of a hind leg. Also, he was incredibly skinny, which indicated that he had not eaten for over a week. 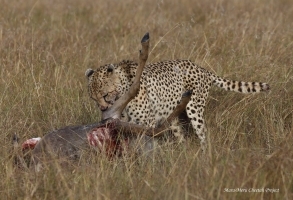 Fortunately, the day before yesterday, Martin made a kill of a young wildebeest. 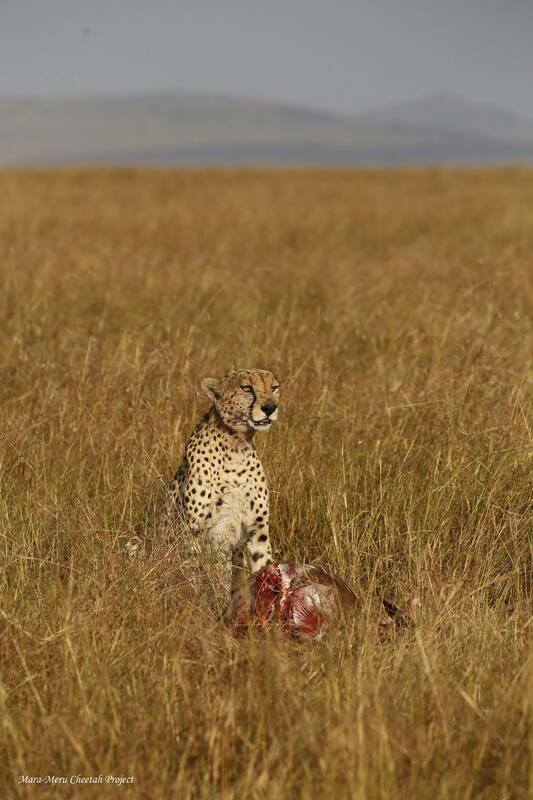 He was eating in peace for over 6 hours in a tall grass, just in 2 km from the Fast 5. They also made a kill that morning, and spent the whole day sleeping in a shade. 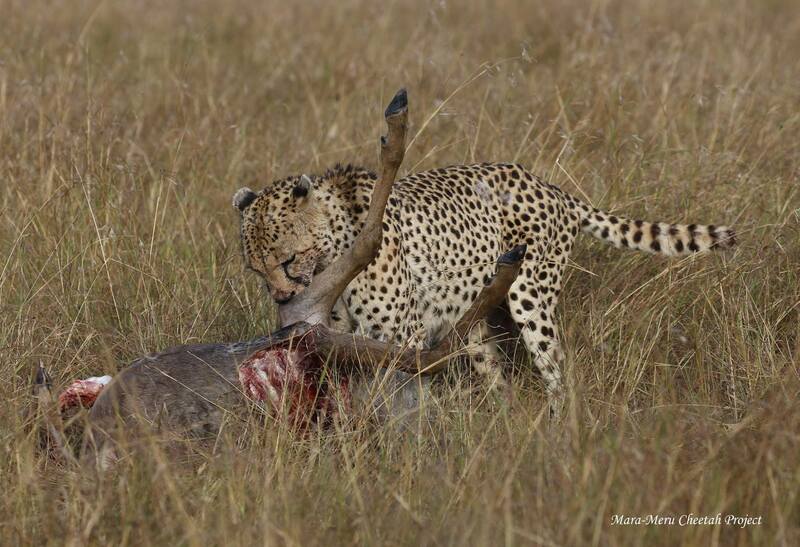 The fact that Martin can hunt by himself, gives a hope that he will recover. 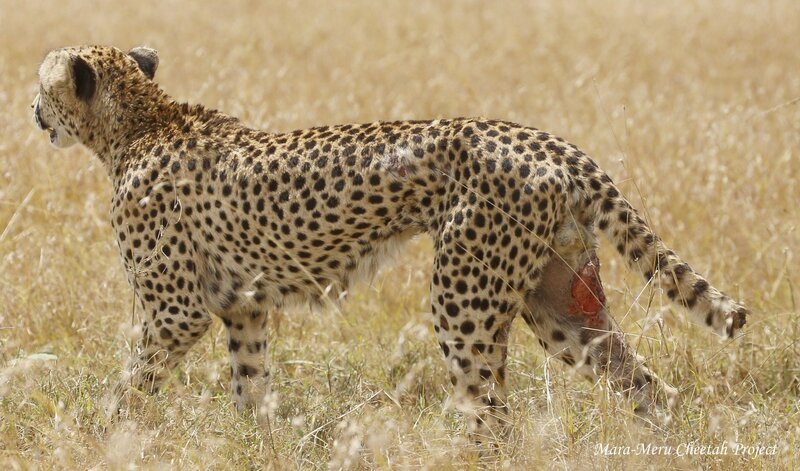 Thank you guides of the Mara Sarova, Entim and Governors camps and Olarro lodge for informing and leading us to Martin, and thank you Mara Wardens and rangers for your fast and efficient assistance.